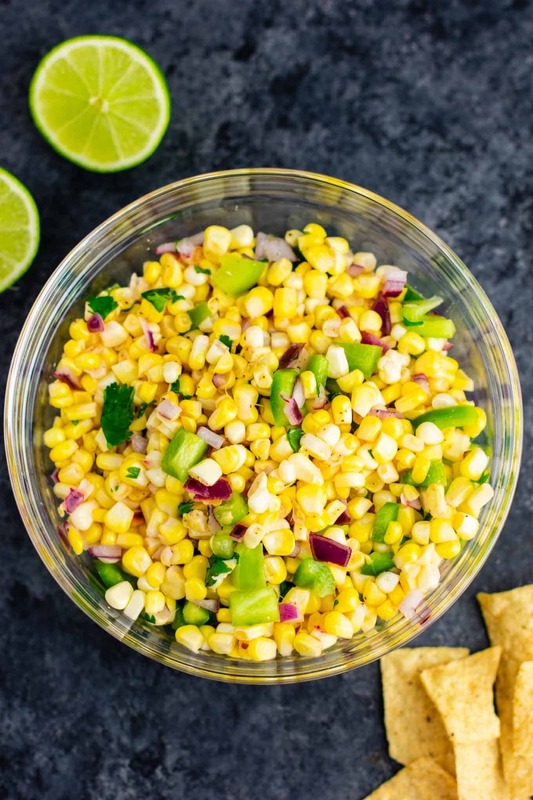 If you’ve ever been to Chipotle and tried their corn salsa, you know just how addicting it is! I LOVE fresh corn, so I’m extra obsessed with it’s fresh crunchy deliciousness on my burrito bowl. 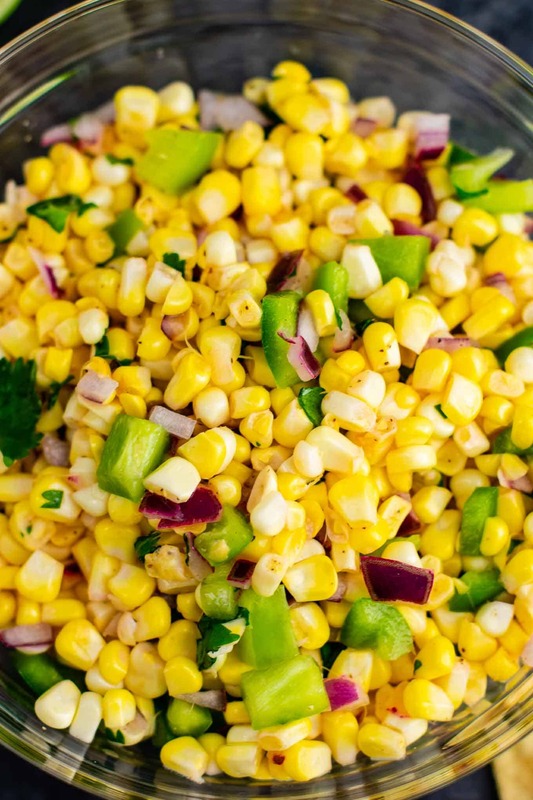 Today I recreated that same delicious taste in my own kitchen with this fresh corn salsa! All you need is just a few minutes and only 7 ingredients to make it yourself at home! First, cut the corn off of four cobs. You will need 3 cups of fresh corn kernels. 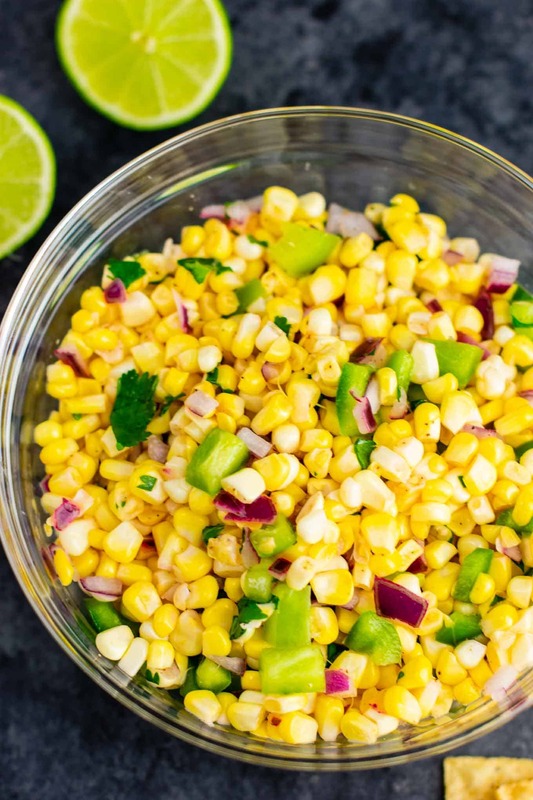 Add your fresh corn to a bowl, then add in diced red onion, diced green bell pepper, fresh lime juice, cilantro, salt, and pepper. I purposefully made my corn salsa non spicy, as I have a toddler. If you want that spicy kick, just sub part of the bell pepper for fresh diced jalapeno! Stir together and you have a to die for dip! Serve with tortilla chips, or (my favorite!) on a homemade burrito bowl. 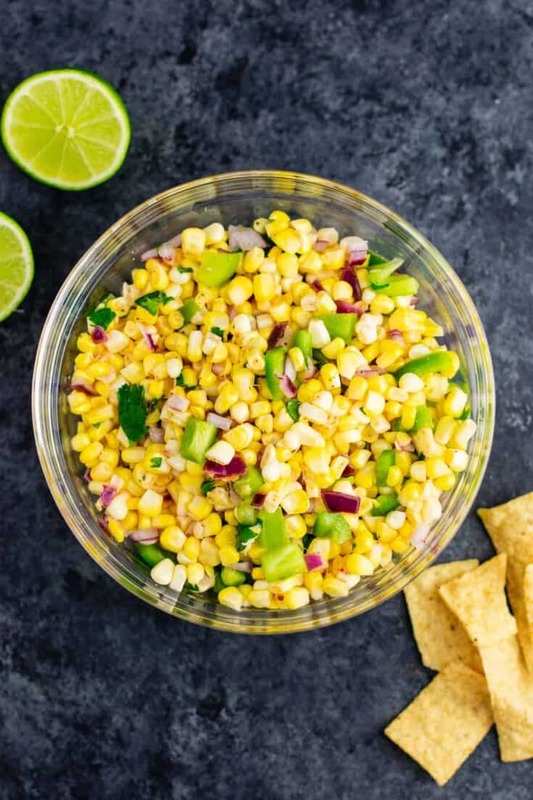 Stay tuned, as tomorrow’s recipe will be a vegan burrito bowl featuring this corn salsa and my homemade guacamole. Honestly I could eat this by itself. The whole bowl. It’s so fresh and crisp, and hits you with the fresh lime and salt. 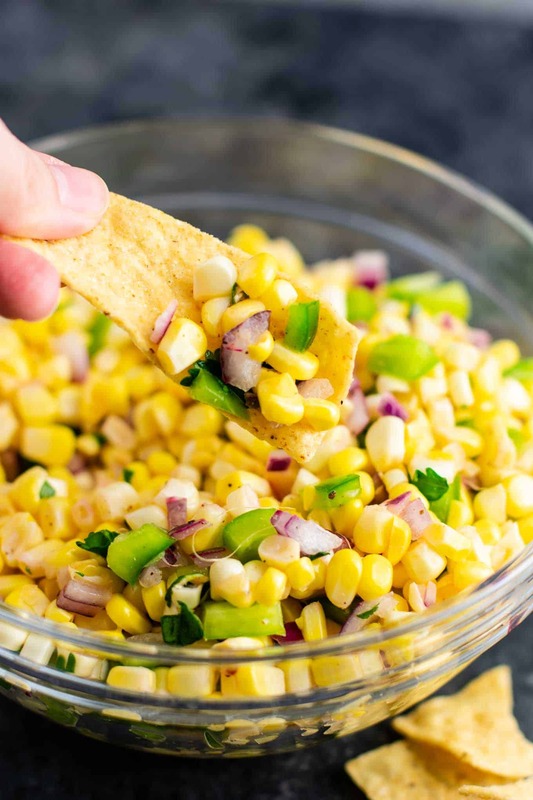 Easy fresh corn salsa made with just 7 ingredients!